Dixie is a 13-year-old girl, quite unhappy with her life. Five years ago, her mother divorced her father, a coroner, and all of Dixie's peers think she's weird for being "gothic." One night, Dixie suffers an accident when a tree crashes down on her during a storm. She wakes up in the middle of a cemetery, turned into a zombie! 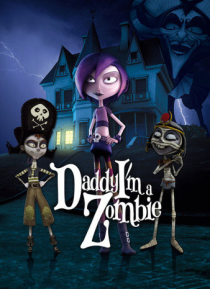 With the help of Isis, an Egyptian mummy, and Gonner, a pirate zombie, … Dixie tries to return to life, looking for Vitriol, a strange man who roams close to the cemetery.